At the recent Northeast Regional Grange Leaders Conference in Portsmouth NH, the legislative directors met with Burton Eller who is the present National Grange Legislative Director. Burton has many years of legislative experience and is very informed on what is going on in Washington. He believes that this coming year will be a busy one. We now have a new mix in the legislature with the Republicans now controlling both the House and Senate. This increases the chance that we will see more bills passed by both chambers and reaching the President’s desk. He also believes that we will see more Presidential vetoes. This is also a non-election year so that the Congress will be more willing to discuss major issues before the Presidential election season starts next January. Eller informed us of some of the issues that he feels that Congress will be addressing this coming year. Many of these issues are not issues that the National Grange will be addressing but he expects that we will be hearing a lot about them. The President recently announced that he wishes to end the embargo on Cuba and presented some executive actions which would increase trade with Cuba. The Keystone pipeline which will move oil from Canada to the Gulf is in the process of being built with the first three phases almost completed. The fourth phase will connect Alberta Canada to Nebraska and is controversial as it will pass over a major aquafer in Nebraska. The President is threatening to veto this bill if it passes. Affordable Care or “Obama Care” is still in the implementation process. This year businesses with over 100 employees will be required to offer health insurance and doctors who treat Medicare patients will see a 43% reduction in reimbursements. Many states are starting to address GMO food labeling. The feeling is developing that there should be national guidelines instead of individual state requirements. We discussed the options of labeling those foods that do not have GMO ingredients included as opposed to having to label all GMO ingredients in foods. One of the most promising areas of compromise may be with trade agreements. Washington has not been able to agree on any major bi-partisan trade agreements in years. The Fast-track Promotion Authority (TPA), the Trans-Pacific Partnership (TPP) and the Transatlantic Trade and Investment Partnership (TIIP) all have a chance of being resolved this present session. We will also be seeing Tax reform addressed. The two sides agree that we do need major tax reforms but they are still far away from agreements. It is possible that we will see discussions on the corporate tax rates, international taxes, individual income taxes and gas taxes. Eller sent out a National Grange Policy Updates and News newsletter on January 7, 2015 with much more information on these topics that I summarized. I recommend that you read his full National Grange policy update. 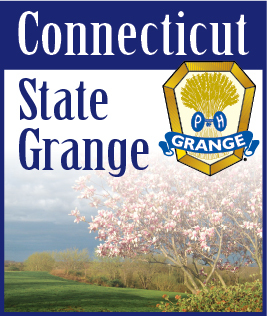 If you would like a copy of it, email me at legislative@ctstategrange.org and I will forward it on to you. I hope to have this update added to the Legislative section on the State Grange web site.